Hello. My form shows the bottom of the form and the Submit button on the "build" (on your website). I've said, published, etc. 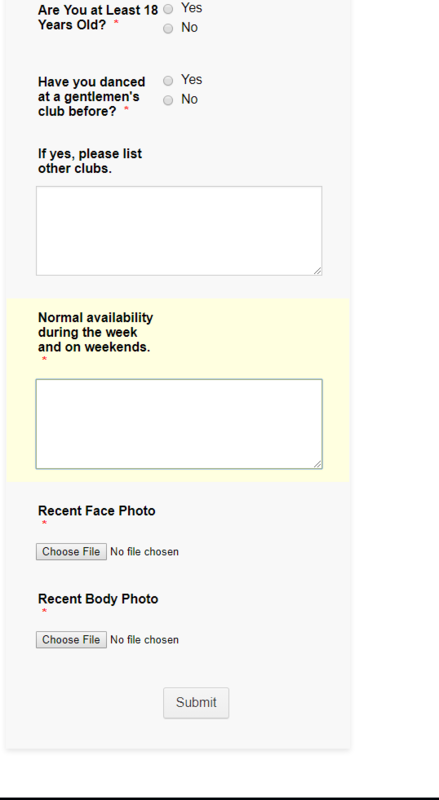 but the form is not appearing with the bottom fields and Submit button. I am able to see the submit button and the fields on the bottom on both embedded and the live URL of your form. Can you try clearing your browser's cache ? Please also try viewing on a different browser or using "Incognito Mode" for Google Chrome, or "Private Window" for Mozilla Firefox.